Now in its fourth running, the biennial Resolute Cup has evolved into the unofficial keelboat championship for United States yacht clubs. From September 12 – 17, teams from across the country will compete on Narragansett Bay for national bragging rights as well as an invitation to the 2017 Rolex New York Yacht Club Invitational Cup. Nine clubs, will be competing for the first time in the event, which is held out of the New York Yacht Club Harbour Court in Newport, RI, and sponsored by Porsche Cars North America, Helly Hansen and Melges Performance Sailboats. 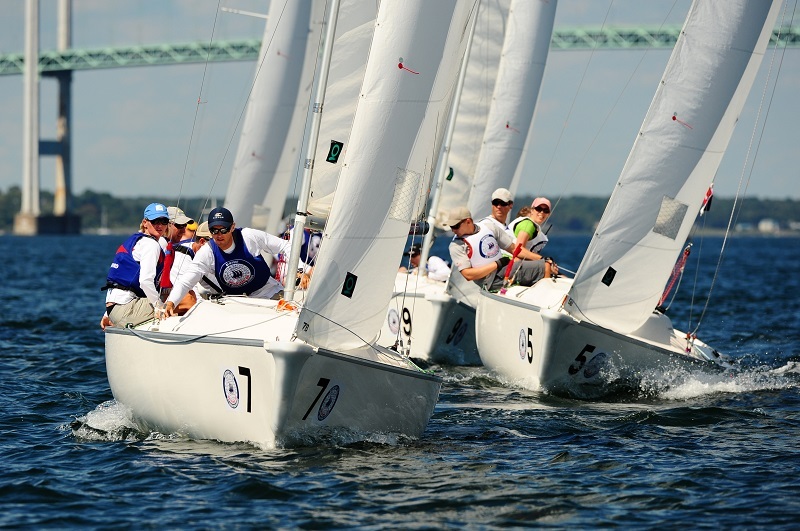 While some motivations for competing may differ, a core tenet of the Resolute Cup – to run a Corinthian keelboat championship amongst preeminent United States yacht clubs – rings true throughout the fleet. Each sailor must be a World Sailing Group 1 (amateur) sailor, and a full member of the club he or she represents. As with previous editions, the 2016 Resolute Cup will utilize two one-design fleets. Teams will sail a two-day qualifying series in both Sonars and Melges 20s, with the top 10 teams moving to the two-day championship series in Melges 20s and the remaining teams competing in Sonars. While experience in either boat can be an advantage, the Resolute Cup is anchored to the belief that the best sailors can make any boat go fast. The team that can figure that out the best will claim the 100-year-old silver trophy, a berth in the 2017 Rolex New York Yacht Club Invitational Cup, and the right to call themselves the fastest yacht club in the country. Live race tracking for the duration of the regatta and a live webcast of the final two days will enable friends, family and fellow club members around the country to follow along as their team competes for one of sailing’s most challenging Corinthian honors. For more information, visit ResoluteCup.com. Stu Streuli, New York Yacht Club’s Director of Communications, contributed to this report.